British home style, eclectic, traditional, rustic and makes me think of stately homes, Victorian terraces or country cottages. Here's my 5 choices of furniture items for quintessential British interior design no matter the size of your castle. 1. The winged back armchair has timeless appeal. Classic looks of tweed or tartan or a Chesterfield design with studs. Think of reading by the fire and throwing a log on every now and then with a quick whisky before bedtime. 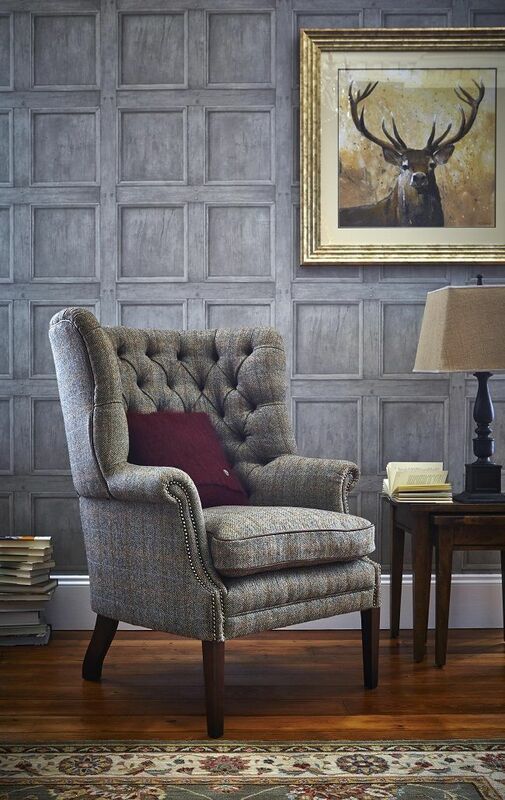 Beautifully upholstered armchairs that are a statement feature in a sitting room. 2. How about a solid wood butcher's block/trolley in the kitchen for all the original charm of a country kitchen and the bonus of extra work surface and storage. A historical piece and there are many hand crafted ones available that will give a unique item for your kitchen. 3. For all those unexpected guests that turn up in true British fashion on Christmas Day and other occasions, have a set of stacking chairs available so nobody goes without a chair. I am fond of ones that look like vintage school chairs with colourful metal legs. 4. 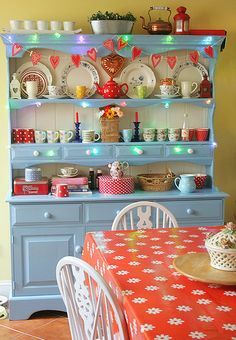 I cannot be without a Welsh dresser in my home. I bought mine from an antique store for less than £100 and painted it up in eggshell white. I use it for displaying anything and everything, plus the cupboard at the bottom is great for storing my vases, candles and other bits and bobs, I love a dresser that is filled with collections of retro items like Cornishware or collectible plates. 5. 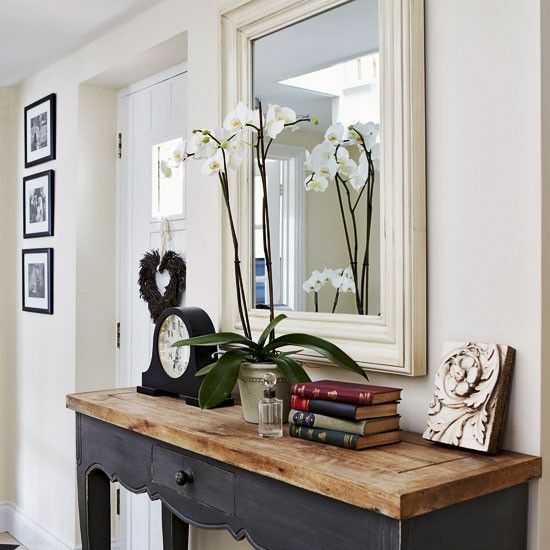 The console table is a perfect furniture piece for the hallway or a reception room. Slimline and ideal for displaying treasured items on, a table lamp and the telephone. 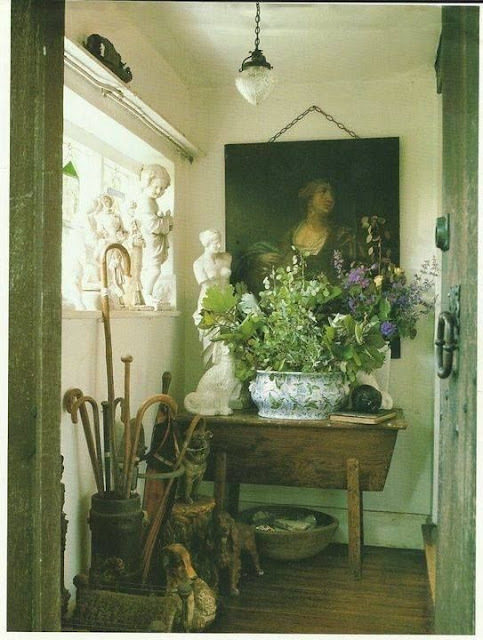 I'd love a traditional hallway with a console table, old coat rack next to it and an umbrella stand. Check out furniture auctions and junk shops for a vintage style one.